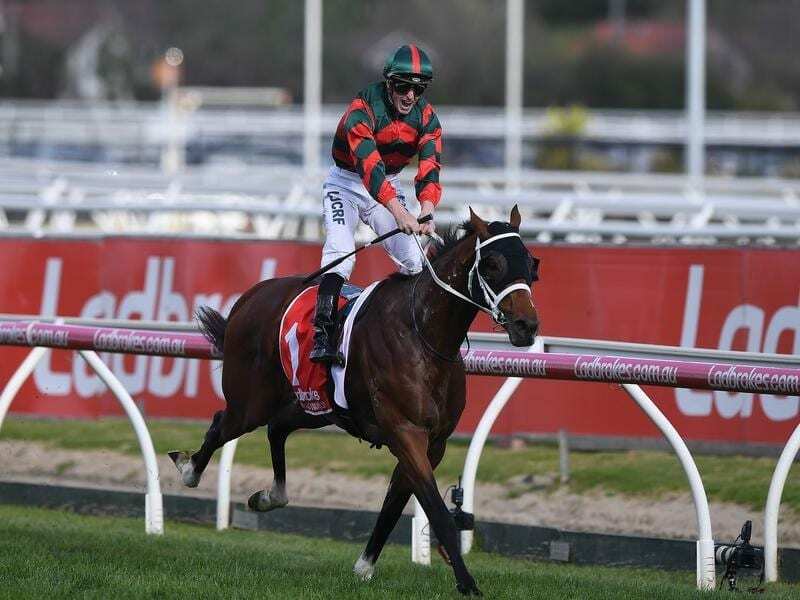 The Autumn Sun is Australia’s standout three-year-old after winning the Group One Caulfield Guineas. James McDonald says The Autumn Sun will only get better after the valuable colt disposed left a Caulfield Guineas field in his wake. The Chris Waller-trained colt raced away to a four-and-a-half length win in Saturday’s Group One race that carried a $2 million purse. Sent out the $1.75 favourite under James McDonald, The Autumn Sun defeated outsider Vassilator ($101) with Oohood ($9.50) a long-head away third. “He’s going to be scary in the autumn as he’s still a baby,” McDonald said. “I don’t know how Chris does it all the time but he’s been planning this race for two months. Waller will leave a decision on whether The Autumn Sun takes on champion stablemate Winx in the Cox Plate to the owners, Hermitage Thoroughbreds and Arrowfield Stud. But it would be his recommendation to bypass the contest and be content with victory in a race that fast-tracks a winning colt to a lucrative stud career. “He’s a very good horse and I don’t think he’s fully mature yet, Waller said. “I still think he’s going to fill out a lot more. “He’d have to be the world champion if he was to beat Winx. “If he wasn’t to be a world champion in two weeks time, he certainly will be in six months time. Waller said long term he would like to travel abroad with The Autumn Sun after not having that opportunity with Winx. McDonald said it was pleasing to finally get back on the board as a Group One winning jockey after spending 18 months sidelined through suspension. He said it wasn’t the plan to ride The Autumn Sun in the manner he did. “It’s been a frustrating day and it didn’t go to plan,” McDonald said. “I wanted to be three-wide, with cover but he jumped too well. “He was first out, he’s never done that in his life and that was the undoing of my position.